"Powerful task management and time organization app. " 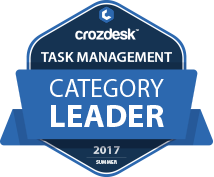 Todoist scored 88/100 in the Task Management category. This is based on user satisfaction (86/100), press buzz (62/100), recent user trends (falling), and other relevant information on Todoist gathered from around the web. 4.3/5 based on 360 user ratings. What do you like about Todoist? Todoist is the best To Do list app on the planet. I was a Wunderlist user but I moved Todoist because it's natural language. It helps me to share to do's with my friends and co-workers easily. We can keep tracking everything from grocery shopping lists to important business project works. Todoist is free to use but to get most of the features from Todoist, you should subscribe to their premium version that worth every penny. What do you dislike about Todoist? One of the negative aspects of Todoist is it doesn't allow reminders on the free version of the tool. Their competitors like Wunderlist, TickTick, and Any.do gives reminders feature for absolutely free. Todoist recently increases the pricing from $28 per year to $36 and this could make some users choose another service from Todoist were the prices are low. Most project planning tools give you a calendar view, a Kanban board view. Todoist lacks both. What have you been using it for and what problems did Todoist solve? Todoist helps us to track our co-worker's given tasks easily. We can work on a single project from one place seamlessly. This great application helps you keep life under control. Easy to work with a simple design that does not detract. In reminders you can choose the time and place, all is fast and automated. All events and tasks are stored in one place. If your task is repeated, you can simply select it from the list. Anydo has quick synchronization with all of your devices. Record in the calendar events for each day to plan your day, and the sound signal will always remind you about the most important thing that you forgot. I think it's much easier and more convenient to use Anydo than to write down all the important tasks or events on small paper notes that are scattered everywhere on the desktop. The program works well without failures, synchronization is carried out quickly all events that were recorded on the computer are instantly transferred to the phone. I am satisfied with the work of Anydo, I am satisfied with everything in it. I write down what happened during the day, all important events, that at any moment I could remember what I did a month or a year ago, it stimulates me not to stand still, but develops and learns something new every day. Of course, I write important events that I can forget, for example, the birthdays of my close friends. Anydo helps me to unload my head a little, I know for sure that with this program and I will not forget anything.